Friends with horses? Dreams of horses? Horse vacation looming? We have all been there... Please don't let any of that stop you, because YOU are the inspiration for this course! This course offers the foundations of horsemanship most trainers and folks with horses expect you to know before heading into a barn, but may or may not actually teach you! 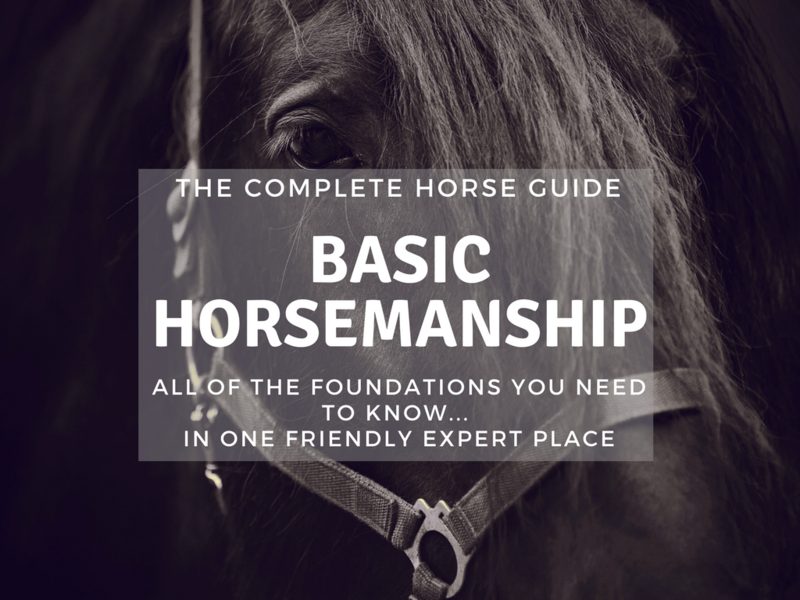 This foundational information will show you everything from how to establish a safe presence around horses, easy rules to approach and handle a horse, groom with techniques reserved for experts and tack up with system and knowledge that will impress even the crustiest horsemen. Welcome to The Complete Horse! Week 1 - Why Horsemanship? What is Safe Presnece with horses? But Grooming is for Barbies! Sep 1 - Boots? For Horses? We'd love to invite you to join us to learn this fantastic information that doesn't exist anywhere else! Limited enrollment is now open!